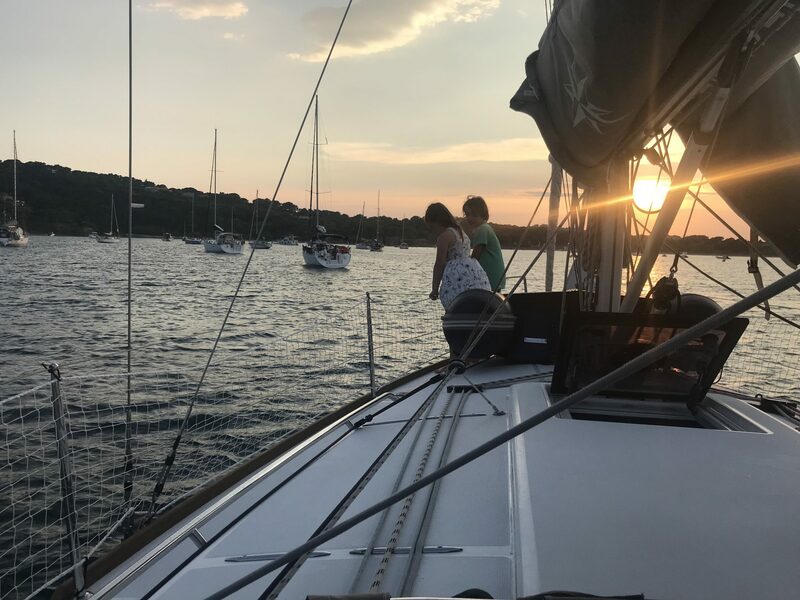 Planning your 2019 summer sailing holiday? find out what you will need. It’s that time of year again; the winter is setting in, temperatures are starting to drop, and we’re all starting to miss the summer! At least the cold nights in provide an excuse to start planning your 2019 summer sailing holiday. If you’re like us, exploring the crystal blue waters of the Med in your very own charter yacht sounds like an appealing way to spend your holidays. What do I need for bareboat charter in the Mediterranean? Any charter company worth their salt will have strict requirements for boat rentals. You’ll need the appropriate qualifications to prove your sailing proficiency before they’ll let you loose with one of their boats. Qualification requirements will naturally vary across different charter companies – but if you’re looking to steer your own course across the Med as a solo crew, most will ask for an RYA Day Skipper practical certificate as a minimum. You’ll also need an International Certificate of Competence (ICC) – this is included with the Day Skipper course, and essentially turns your RYA certificate into an internationally-recognised boating licence. What if I want to sail as part of a flotilla? If being left to your own devices in unfamiliar waters sounds a little too daunting for your first sailing holiday, a flotilla trip might be just what you’re looking for. You won’t need a qualified skipper – instead, you’ll travel with several other boats in a group and follow the path of a flagship boat commanded by its own skipper. Many flotilla holiday providers offer a variety of trips to match your skill level, with ICC training sometimes provided over the course of your journey – but be aware that your ICC won’t be of much value back home in UK waters. For this reason, we’d suggest getting either the RYA Day Skipper Sail or Day Skipper Motor certificate and ‘converting’ it into an ICC before you leave. Not only will you be better prepared for your trip, but you’ll have everything you need to start sailing here as well as abroad. If you’ve never sailed before, it’s wise to brush up on your theory first. Start by getting familiar with the VHF Radio, Sea Survival and First Aid courses, which will keep you safe if anything should go wrong on your holiday. From there, you can move onto the Essential Seamanship and Navigation course, or skip straight to Day Skipper Theory. You’ll then only need a little experience on the water to tackle the Day Skipper practical course, which you can easily obtain via the Helmsman course for motor boaters or the Competent crew course for the sailors. Need more help preparing for your 2019 summer sailing holiday? Our experienced tutors are always here to help – just give us a call on 02381 242159 today.